So overall I would give this product 20/10. It is the best thing I've ever seen and I cannot wait to buy it myself because it's breathtaking!! The packaging is so amazing and Tumblr, it's so photogenic and looks so good! It actually shines in the light, the rose gold is truly beautiful. 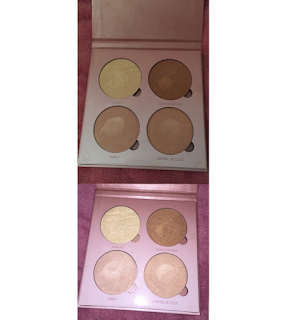 Even though it's cardboard it feels such good quality and personally I think it doesn't matter because the contour kit is too and they still stay in good condition! 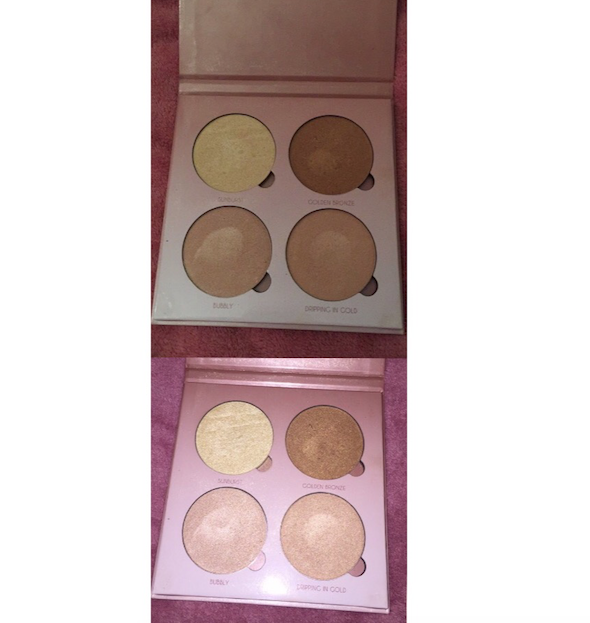 These are warm toned highlighters and The shades In this palette are fit for every skin toned because of the different colours. I feel like they would look good on everyone because the colours are so wearable I feel that they would go with every makeup look. It's a really good size to say there are 4 highlighters, which are amazing!! I'm going to review the shades in order then I'll talk about everything else! The first highlighter I'm showing you guys is the lightest shade 'sunburst' and that's the golden shade and it is so pigmented and Glowy!! 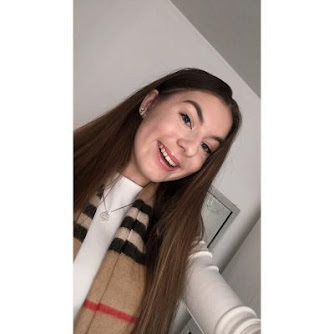 I would say this is my favourite because I love gold highlighters, they make my green eyes pop! 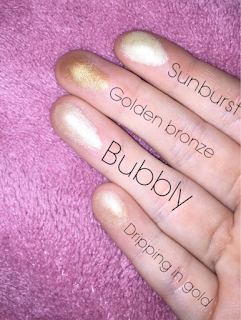 The second highlighter is called 'bubbly' and this is more a peach toned and is so pigmented! 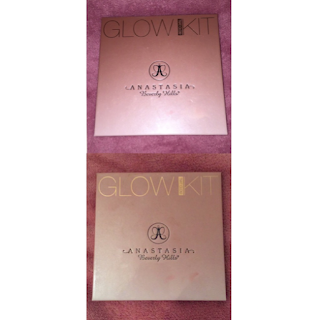 It is so much lighter than I expected and gives the best glow to the cheeks! I literally cannot stress how pigmented these are! I love this shade on me because it suits my skin tone so much and makes my cheeks stand it a lot! 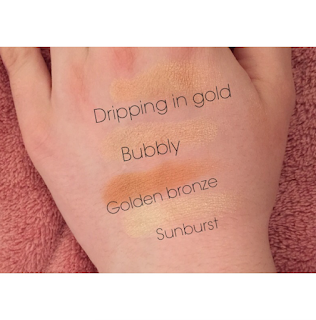 The third colour is super similar to the second colour and it's called 'dropping in gold' which is more peachy-gold toned and would look so good if you had a slight tan. It's just a little darker then bubbly and is so amazing I cannot stress this enough! Finally, the last shade is called 'golden bronze' and is literally what the name says, it's such a golden bronze and would look amazing in the summer or if you had a tan!! It would be the perfect summer highlighter and make your cheekbones look flawless. So I hope you guys enjoyed reading my opinion on the palette and I hope it helped if you were thinking of getting it you do! I cannot wait to buy it myself because it's flawless and amazing!